Ibiza Superfoods The Fit Mix Review | Buy or a Scam? We all want to be fit! The Fit Mix is a blend of organic grasses, seaweeds, roots, berries, and hemp protein that you can add to your food or simply take as a drink as a general boost to health and fitness. 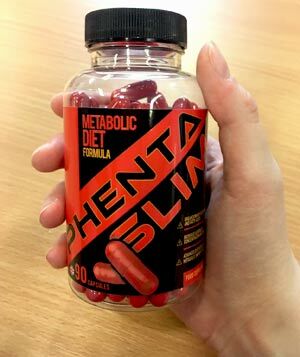 According to the label, the Fit Mix will help your metabolism so there could be a weight loss connection too. It looks pretty good at first glance, so let’s find out more! Ibiza Superfoods bring a little bit of Ibiza club and beach magic to the supplements world, with their brand of supplements that keep you positively buzzing! Products come in three categories; the Blends, the Basics, and the Juicery. The company was founded in 2013 and is headed by nutritionist Verity Smith. 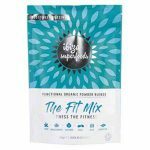 Ibiza Superfoods The Fit Mix is a powdered supplement that you add to your breakfast or any other food and drink when you wish with the idea of boosting your metabolism and general health. Effects are unlikely to be earth-shattering, but it is not very expensive and you may enjoy the flavour. We would not advise anyone to use it every day because there are concerns associated with kelp supplements but if you enjoy taking supplements and err on the side of alternative medicine you may find that this one is worth a try. What Are The Side Effects Of Ibiza Superfoods The Fit Mix? Potential side effects may include headaches, nausea, constipation, allergic reaction, gas, bloating diarrhoea, and drug interactions. Kelp is often contaminated by pollution so as with eating tinned fish which may have high levels of mercury; you should not take kelp supplements like this every day. The Fit Mix contains 98.64 mcg of iodine per serving. With the recommended daily allowance of just 110mcg, some people could find that they exceed this figure which could potentially lead to thyroid disorders such as hyperthyroidism or goitre. Check with your doctor before use if you are taking prescription medication or have an underlying medical condition. How Much Does Ibiza Superfoods The Fit Mix Cost? Ibiza Superfoods The Fit Mix is not overly expensive. Buy from the Ibiza Superfoods website and it costs £24.99 for a 200g bag (30 servings). UK and international shipping are available with prices stated at the point of sale. You can also buy The Fit Mix from Holland & Barrett for the same price. However, shipping is free on orders over £20.00. Sign up to Holland & Barrett and you can obtain a 5% discount on future orders. The best price we have seen for The Fit Mix is via Amazon where it is on sale for £21.56 including free UK delivery. We are not that inspired by Ibiza Superfoods The Fit Mix. This supplement has been created by a nutritional therapist based on some ideas of the metabolism and general health but we cannot see it really doing much for most people. You can’t classify it as a protein powder with only 4g of protein per serving, and although it contains some popular ingredients regarded as healthy, there is not any real evidence that they will have proven benefits upon health and weight loss. The ingredients information is extremely confusing and we have concerns about the safety of kelp and iodine in supplement form so there are a couple of safety issues as well. All that said, we can imagine that many people will enjoy taking this supplement, the limited feedback is overriding positive, and we just don’t want to be too harsh on what looks like quite an appealing supplement aimed at improving health. The problem is that we just don’t think it is good enough to approve. Overall, we do not recommend Ibiza Superfoods The Fit Mix to the Watchdog readers. Ibiza Superfoods the Fit Mix is a blend of what the advertising describes as organic superfoods and botanicals, and the idea is that you add it to smoothies, breakfast cereal, yoghurts, or even water in order to obtain a health boost that will promote healthy thyroid function and metabolism. Ingredients include protein – derived from hemp seeds, wheat grass described as a superfood green, Lucuma, Goji Berries, and Green Tea Extract. The powdered supplement also contains Kelp, a natural source of iodine. The aim of the mix is to support the metabolism and because iodine is important for thyroid function, and in turn the thyroid gland controls the body’s metabolism, this does make sense. Check out the ingredients section below to find out more. The Fit Mix is not advertised as a weight loss supplement, but as it is supposed to help support health and fitness, it is much the same thing! There are three Ibiza Superfood Blends in the range. There is The Detox Mix the Cleanser, this one The Fit Mix the Metaboliser, and the Disco Mix the Energizer. Add to Smoothies. Boost your Juice. Enrich your porridge. Liven up Yogurts. Add to Smoothies. Simply add to Water. According to the company information, Ibiza Superfoods was founded in 2103 by nutritionist and world traveller, Verity Smith, with the Superfood Blends designed to support the Ibiza party lifestyle. The brand actually was launched in Ibiza in the summer of 2014, with the powders stocked in the shops and stores on the island. Today Ibiza Superfoods are available in the UK in Holland & Barrett, and also online from retailers including Amazon. You can also buy directly from the official Ibiza Superfoods website. Will customers be tempted to use too much of the powder? This could deliver too much iodine per serving. Very little customer feedback available for this supplement. Does this suggest it just isn’t very popular? The ingredients information is incomplete and confusing. Why did the company not just provide the nutritional content per serving? It is important to know that Verity Smith is a nutritional therapist, rather than a trained dietician or nutritionist. This sounds very professional but nutritional therapy is firmly in the field of complementary medicine along with reflexologists, crystal healing and similar. Nutritional therapists look at the nutritional and chemical imbalances in the belief that they cause ill health. This of course makes total sense and we are not criticising Verity Smith in any way, but anyone can call themselves a nutritional therapist and many are known for promoting colonic irrigation, detox supplements, and other questionable practices. What Does Ibiza Superfoods The Fit Mix Claim To Do? Designed to take the fuss and faff out of that morning smoothie, The Fit Mix is a nourishing organic blend of botanicals and superfoods. Positively buzzing! Does Ibiza Superfoods The Fit Mix Work? We are not quite sure what this supplement is supposed to do, so it is difficult to say whether or not it works! However, as a general health supplement it looks OK and who knows, you may find that this superfood blend gives your energy levels a lift. You may also find that you enjoy the flavour. Our main concerns about it relate to the kelp content. The recommended daily allowance of iodine is just 150mcg a day, so taking this supplement may have an effect upon the thyroid gland and potentially could lead to hyperthyroidism. What Are The Ingredients of Ibiza Superfoods The Fit Mix? Serving size is equal to 1 x 6g serving (1 tablespoon). The ingredients profile is hard to decipher because most of the ingredient info is based on 100g, so we are tearing our hair out here! Lucuma: Peruvian fruit extract, native to the Andes that has a sweet flavour similar to a sweet potato or maple syrup. It is rich in vitamins and minerals. Many people consider it a superfruit because of its nutritional benefits. Kelp: Species of seaweed called Laminariales of which there are about 30 different types including the well known Bladderwrack familiar to seaside visitors. Kelp contains iodine, a trace mineral meaning we need very little of it, however it is essential for the thyroid gland which in turn controls the metabolism. According to the product information, there is 98.64mcg of iodine per serving which is within safe limits. All varieties of kelp contain differing quantities of iodine and in truth in the developed world, we don’t need to take extra iodine because it can lead to thyroid problems such as hyperthyroidism. There are added dangers with kelp. If the growing waters are polluted, sea kelp can absorb toxic heavy metals causing health problems. Green Tea Extract (2400mg): We all love green tea! High in antioxidants, ECGC (epigallocatechin-3-gallate) and polyphenols, green tea has proven health benefits and may have a weight loss effect by increasing the speed of the metabolism. It contains caffeine so may help perk you up. Does Ibiza Superfoods The Fit Mix Have Any Side Effects? Not suitable for individuals under 18. Avoid if you are pregnant or breast feeding. Do not take if you have health issues relating to your thyroid gland. Speak to your doctor before using if you are taking prescription medication or have an underlying health condition. 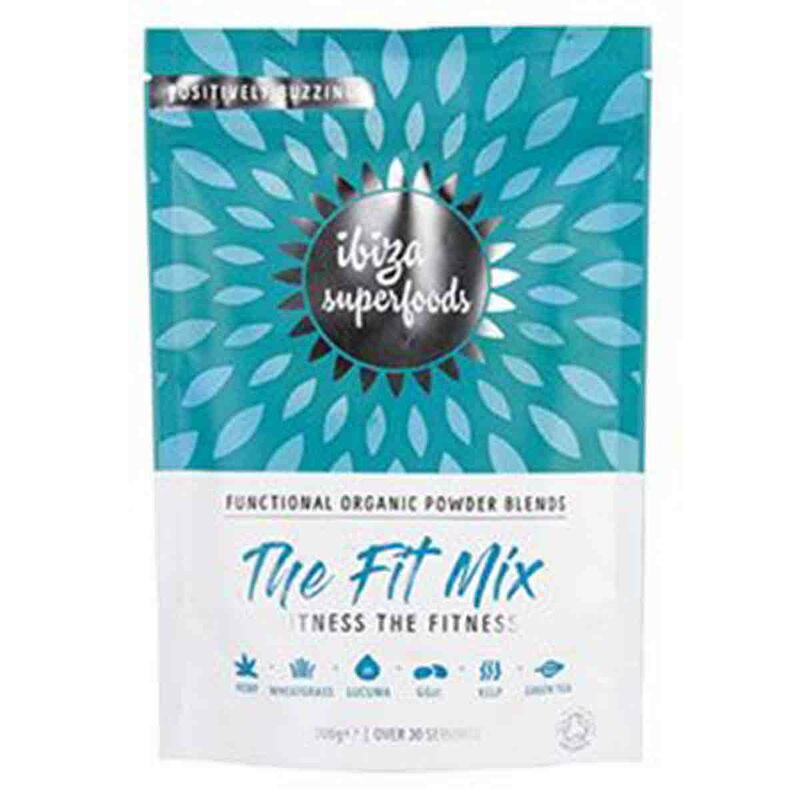 Are There Any Customer Reviews For Ibiza Superfoods The Fit Mix? We could find only a few reviews for The Fit Mix and these were on the Holland and Barrett website. All are positive. Good value product- 30 servings per pack. Noticed a difference in energy and it doesn’t contain stevia and those fruit flavours. All organic- definitely recommend! I use fit mix daily in a banana, avocado or fruit almond milk shake. It’s easy to use and tastes good. It’s ideal before a yoga session to give me good nourishment without a full up feeling. I especially like that it’s organic and no added sugar. Very happy I bought this product it really helps with weight management and I feel so fit and healthy too knowing that Ibiza Superfoods only use pure good ingredients .Love it and so happy I found this unique product. Does Ibiza Superfoods The Fit Mix Offer a Money-Back Guarantee? There is no money-back guarantee for Ibiza Superfoods The Fit Mix. Where Can I Buy Ibiza Superfoods The Fit Mix? You can buy The Fit Mix directly from the Ibiza Superfoods website. The company offer worldwide shipping, so this supplement is available to customers outside the UK and Ibiza! UK customers can buy on the High Street from Holland & Barrett or via the online store. You can also buy The Fit Mix via Amazon UK. 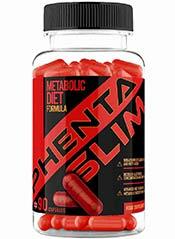 How does Ibiza Superfoods The Fit Mix compare to Phentaslim? The Diet Pills Watchdog does not recommend Ibiza Superfoods The Fit Mix. Good morning .I have read your review and would just like to point out to you regarding your comment on the Kelp. .Ibiza Superfoods go to great lengths and pride themselves on the fact that their products are PURE and CLEAN which they are so hence they are not the cheapest on the market , so there will be no worry about the Kelp in the Fit mix being contaminated . .Also Ibiza Superfoods do not promote the Fit mix as a serious weight loss product infact they do not believe in products that do this and damage the metabolism ….it’s just a more natural little helper .